There’s nothing like an informed, outside perspective to really make you rethink how you look at your business and industry. At least this is how it felt when I sat down with Campbell Korff in the latest episode of the That Bad Review podcast. 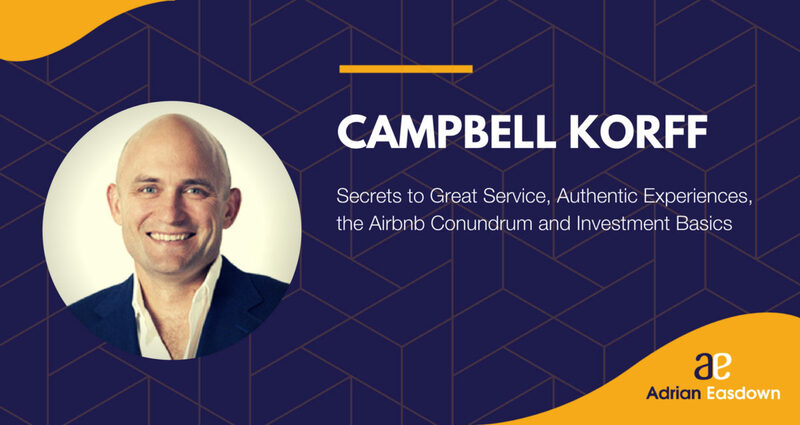 Campbell is an Aussie lawyer turned big-time international financial whiz who has spent many years living, working and travelling throughout Asia and the US. Now based in Northern New South Wales, where he runs a successful real estate agency and a financial planning firm, he’s got some great insights into Aussie service culture and where we can look to improve. “After spending a lot of time in Asia and the US, I’ve always felt that, as a country, we don’t do service particularly well … and the service we receive can leave a lot to be desired,” Campbell says. But as he has proven with his own businesses, this also presents an opportunity for those who do service well – particularly in rural and regional areas. So What’s The Secret Sauce For Great Service? And, obviously, having a good product. For Campbell, staying fresh and motivated in your business is key. “I’ve had it beaten into me from the beginning working for a US investment firm, this commitment to constant improvement, and never being satisfied that the way you’re doing things is the best way to do them, and always looking for ways to do things better, looking for ways to improve the business, and, importantly, looking for ways to improve the people within the business,” he says. He’s keen to point out the dangers of the entrepreneurs’ trap; having too many ideas but failing to implement – meaning staff can get jaded and immune to implementing new ideas when you’re throwing too much at them. “You’ve got to be selective,” Campbell says. You’ve got to pick which ideas, and they may not necessarily be the best ideas, but they’re the ones that can be practically implemented, and which your team is capable of carrying out. Now, if that doesn’t inspire you to take a fresh look at your service and how you can do things better, I don’t know what will. Listen to my entire conversation with Campbell here.